By the esteemed Barbara Pleasant! Colorful companion cover crops such as bachelor’s buttons and crimson clover will not only improve soil, they’ll beautify your garden beds. Intro! Legume cover crops are more than pretty, they improve your veggie garden soil, a lot! There are informed choices to be made. Cover crops are in the same categories as Living Mulch and Green Manure. There are three main ways to improve soil: grow cover crops, mulch the surface with biodegradable mulches, and/or dig in organic soil amendments (such as compost, grass clippings, rotted manure or wood chips). 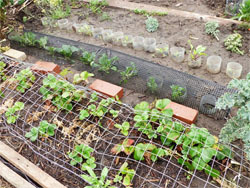 All have their advantages and none should be discounted, but cover cropping is the method least likely to be practiced in home gardens. There is a reason for this: Information on using cover crops is tailored to the needs of farmers who use tractors to make short work of mowing down or turning under cover crops. But when your main tools for taking down plants have wooden handles and you measure your space in feet rather than acres, you need a special set of cover crop plants, and special methods for using them. Bio-drilling is what happens when you use a cover crop’s natural talents to “drill” into compacted subsoil. For example, you might grow oilseed or daikon radishes as a cover crop where their spear-shaped roots will stab deep into tight subsoil. Bio-drilling action also takes place when deeply rooted cover crop plants penetrate subsoil and die. Then, the next crop grown may actually follow the rooting network mapped out by the cover crop. Maryland researchers were able to track this process using special camera equipment (a minirhizotron), which took pictures of the interactions between cover crop (canola) and crop plant (soybean) roots. As the canola’s deep roots decomposed, soybean roots followed the trails they blazed in the subsoil, hand in glove. In addition to reduced physical resistance, the soybean roots probably enjoyed better nutrition and the good company of legions of soil-dwelling microcritters, compliments of the cover crop. Speaking of taking down… Continue reading! From here, Barbara talks about how to take the cover crops down, then, which cover crop to use, what time of year to start it in which zone, the pros & cons of each, her experiences, research. Or, you may not want to take down your cover crop. If you planted a short ground cover type legume, late in the season you may simply want to remove the larger plants, open up spots in the living mulch and put in winter plants! Your cover crop will keep on working as the older plants die naturally and feed your soil. Two for one and save time and money! If you choose edibles as a cover crop under larger plants, you get living mulch and food! If you choose legumes, they are working at the same time you are growing your large edible plants! I do hope you consider this 100% natural organic method of restoring or improving your soil, improving space you won’t be using right away! You will have less disease, less pests, less amendment expenses. Plant with flower combinations like Crimson clover to make habitat for wild bees/pollinators, and beneficial predatory insects, for simple beauty! Spring and Summer, cover crops also act as living mulch while feeding your soil. Toss seeds around and under bigger plants. In SoCal and southern areas, Fall and Winter, use cover crops as green manure to restore and improve your soil for spring ~ summer planting. The better your soil, the more handsome your harvests. To your health and happiness! See also Living Mulch! When, Which and Why?! Some of you are pros, literally, at making teas, others of us have never done it before, but interested, even willing to give it a try. Why? Why make teas at all? Isn’t good soil enough? If you are just making compost tea, with compost you are already using in your garden, you may not notice much results. Every time you water, aren’t you making compost tea in place anyway?! But if you make a more diverse tea, with a lot of different ingredients, and it is made just right producing a lot of microbes, you are likely to get superb results! Research shows foliar feeding is more effective than soil drenching. A lot of summer plants are what are called ‘heavy feeders.’ They are doing business 24/7 for several months using that soil right where they are at. They can’t go walkabout seeking new soil. Plants that produce leaf crops, lettuces, chard, kale, are using up soil nutrients just as fast as they can! 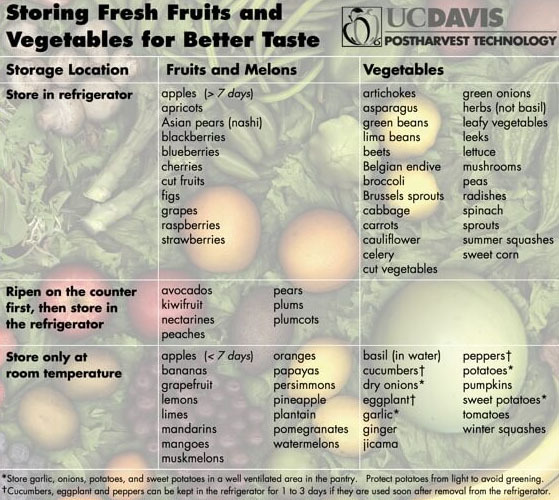 Plants that produce a lot of crop, tomatoes, cucumbers, squash, are feeding a big plant, foliage and fruits! Teas are a microbial inoculant that gives them a boost from leaf to root! Teas are a high grade fertilizer full of nutrients and minerals! The tea’s chelated micronutrients are easy for plants to absorb. The teas will never burn your plants. You can easily make them yourself from your own materials. You know exactly what’s in it. No chemicals, and they don’t add salt that commercial fertilizers can add to your soil. DIY! Save money! Marvelously, tea microbes degrade toxic pesticides and other chemicals! Much better for beneficial insects, wildlife, plants, soil and humans. Your soil will come alive again as the organisms start thriving. Your soil will have greater water holding capacity, a resiliency, the aeration it needs from burrowing soil creatures. Nutrients! Black liquid gold can feed your plants through their roots and their leaves. The beneficial microbes are fast acting and quickly absorbed. This whole plant treatment increases plant growth – more and bigger blooms, bigger size fruits and yields. The microbes produce plant growth hormones; mineralize a plant’s available nutrients, and fix nitrogen in the plant for optimal use. Suppress diseases! When plant surfaces are occupied by beneficial microbes, there simply is no room for pathogens! The plant will suffer little or no blight, mold, fungus or wilt! That’s a huge claim! But even if it doesn’t entirely work, your plant will likely have a much improved existence for a longer period of time. Beneficial microbes compete with disease causing microbes. Go tigers! The live microbes enhance your soil and in turn, up the immune system of your plants. Your plants are healthier, more stress-tolerant. Making teas is fairly new, but is here to stay! Nowadays we know more about microbe power, soil and plant structures and processes. Researchers have determined exacting and scientific ways to brew teas, brewing equipment is available at garden centers or on the internet. Some garden centers are brewing in large batches so customers can conveniently draw-off what they need by the gallon! There are many tea making methods, from the simplest home bucket method to technical and elaborate brewers with plenty of debate over different ways. Aerobic brewed teas have much higher microbe population densities than extracted teas and for this reason are the teas of choice. A good head of foam and scum on top signifies healthy microbe action! Try out different methods for yourself if you have the time and the gear, and love researching. Whichever you choose, your plants will benefit! First of all, Temp and Timing matters, especially to the home gardener brewing outside, not using a brewing system. The microbes we want are the most happy at about 75 F, a comfy room temp for us too. Put your brew out of direct sunlight. Based on Marc Remillards book “Compost Tea Making” temps/time are: 24 hrs @ 75, 36 hrs @70, 42 hrs @ 65 and 48 hrs @ 60. 95 and higher is a no go, just too hot! Your microbes go anaerobic. If you are using a brewing system, you can use an aquarium heater to ensure a constant brew temp especially if ambient is cooler at night. So it helps if night temps are 60 up. The right water! Rain water is best or let it sit out overnight to allow chemicals to dissipate, or bubble water through an aerator for a minimum of 20 minutes. The chlorine will be released as a gas. Or, add a small amount of powdered ascorbic acid (vitamin C) or humic acids. If you start with chlorinated water it will kill some of your microbes before you get started. Straining your Tea! There’s various thinking on how to strain your tea. The easiest and simplest is to use a sock, cheesecloth bag, but let the sock be big enough to allow the ingredients you put in it room to move around as it is swished through the water. Clearly those will not accommodate a third of a 5 gallon bucket’s worth of compost plus whatever else you put in. If you will be foliar spraying your tea, sock or pillowcase fibers are too tight to allow the good fungi and nematodes to flow through. So! Super easy but has a small price, is a painter’s bag, 400 microns, 5 gallon size (they come in different sizes). Perfect! You put it in the container you will use, the elastic top fits over the top of the bucket. When the tea is done you simply lift it out. It has a durable nylon mesh and can be used several times. Add your leftover solids to your compost pile or as a soil topper mulch. Rinse out and dry your bag ASAP. Or if you already started your brew, just get a 400 micron mesh strainer that fits your bucket, put it over a second bucket, and pour your mix through. CAUTIONS Unfinished compost or uncomposted manures may contain harmful pathogens and compost that is too old may be nutritionally deficient. COMPOST TEA and MANURE TEA ARE NOT THE SAME THING! Manure teas may be made the same way but are not generally recommended as foliar sprays for veggies and are not as nutritionally well-balanced. Use well-aged, finished compost The best is good smelling, very dark, broken-down into minute particles like course cornmeal. Dig deep down inside your bin, near the bottom. This is where organic material will be most decomposed and fresh, teeming with life. All you need is a good shovelful or two, maybe a third of the bucket, for a 5-gallon bucket of compost tea. Cow manure is better than steer manure if you can get it. Chicken manure is good. Less of it does more. Be careful of free horse manure. It can be salty, and if the horses ate pesticide sprayed hay, or the stalls have been sprayed to repel flies, you’ve got toxins. All manures need to be very well composted, except bunny poo, which you can sometimes get free at shelters. Bird guanos do different things. See more soil tips and about quanos. 1 cup of manure may be quite enough. Most importantly, DO NOT foliar feed leaves you will eat, like lettuce, with animal poo brews! In nature, worms are a natural part of soil. In addition to soil nutrients, it’s smart to add worm castings. They speed germination of your seeds, seedlings grow faster. Worm castings help your plant’s immune system, and you have measurably more produce! Plants like strawberries, that tend to attract fungal spores will also benefit. Castings contain anti-fungal chemicals that help kill the spores of black spot and powdery mildew! Growing your own worms and harvesting vibrant fresh castings is ideal, but if you don’t have time, simply buy the best organic castings you can get, fresh and local if possible! More about growing worms! Add 2 cups to your 5 gal bucket. You can add all kinds of supplements at the same time! Put compost, manure/fish emulsion, worm castings, pond muck, powdered seaweed – 2 tablespoons kelp powder, 2-3 crushed Aspirin, rock dust, alfalfa pellets, chopped nutritious comfrey/borage/tansy leaves all in a bucket together – adding one volume of compost to 4-10 volumes of water. Let them sit overnight, a couple of days, stir a couple times, when you think of it. This turns the tea into a balanced organic fertilizer. How long does it take? Add Sugar or Molasses! Aeration! It has been shown that adding a simple aquarium pump to the bucket and letting it run to percolate the mixture will increase the potency of the finished mixture, and can be completed in as little as 12 hours to 2 days. If you want a super concentrate, let it brew a week, or more! Recent research indicates that using some kind of aeration and adding a sugar source (unsulphured molasses works well) results in an excellent product that extracts the maximum number of beneficial organisms. 2 Tablespoons of unsulphured Molasses is good. An aerobic environment favors the aerobic microbes, physically pulls them off the compost and supplies air they need to multiply. This aeration is crucial to the formation of beneficial bacteria and the required fermentation process. It increases the absorption of the water and organisms. For the bucket-brewing method, you must stir the tea a few times during those hours or days it is brewing to aerate it. If you go over the time needed, you need to add more food for the microbes (sugar/molasses), and probably a little more compost. Caution! Commenter Suburban Hobby Farmer on a compost tea post says: I’ve also read a study from a university extension service that says you shouldn’t use compost tea on indoor seedlings –especially if it has molasses — because of increased damping off. According to the study, this is true even when watering from the bottom. A 2004 study says a more successful brew intended for seedlings has sufficient aeration, cuts back on the molasses, uses humic acid and kelp additives. Anaerobic? You waited too long and your tea has gone anaerobic? Your tea should always have an “earthy” odor. If it smells bad, throw away the tea and don’t put it on your garden soil or compost pile. Wash Your Gear Immediately! Bio-slimes build up inside your brewer or in your 5 gallon bucket. In a brewer this means walls, tubes, small crevices at the bottom. The pressure of hose water isn’t enough to remove it. It may take elbow grease, 3% hydrogen peroxide or a solution of 5% baking soda. 2 tablespoons corn syrup or unsulphured molasses. Molasses feeds the bacterial growth in the brew and also contributes trace elements of iron, manganese, copper and potassium. Old pantyhose (no holes), a bag if you are doing soil drenching. Manure tea not recommended for foliar application. How long will my tea last? It is best to apply your compost tea immediately; however, it can still produce benefits if applied within 4-6 hours of removing the oxygen source if you are aerating. Remember we are talking about living organisms, trying to keep them in optimum health! Diluting your tea. You can use your compost tea full strength on plants that are sickly or not growing well. Otherwise, it usually works well to dilute your tea half and half with de-chlorinated water (you can dechlorinate your water by letting it sit in an open container for a day). Another way of diluting it is until it looks like a slightly dark iced tea for soil/root drenching, weak iced tea for foliar feeding. Of course some teas are stronger than others depending on what’s in it and how much water is used. Work with it to find what works for you. Will you use it as a soil drench or a foliar application? BOTH! If using it as a soil drench, dilute or apply it full strength. If your tea is good, you really can’t overdo it! And you don’t need to strain it. But for young, delicate or houseplants try it diluted first. Amazingly, only 5 gallons of compost tea can be diluted to cover approximately one acre of land, and still produce benefits! Tea to be used as a foliar application you must strain. Use a 400 micrometer mesh or screen. The mesh is big enough to allow the fungi and nematodes to flow through it, while trapping larger particulate matter that will eventually clog your sprayer. Make sure that the sprayer you are using is designed for compost tea. Many sprayers apply with too much pressure, kill the microbes before they even make it to the plant surface. You need 70 pounds psi or less. Use a smooth, slightly-curved nozzle. With 90 degree bends in the nozzle, the microbes can be damaged. Try to arc or parachute, your application onto the leaves so the microbes land more gently, not head on. 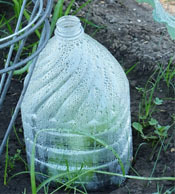 Apply with a watering can or a simple garden sprayer. Soak the soil to the dripline. When foliar feeding, be sure to add 1/8 to 1/2 tsp vegetable oil or mild dish-washing liquid per gallon to help it adhere to leaves. 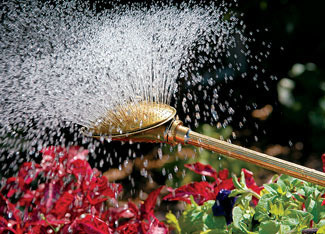 Use a watering can with a head that rotates so you can spray both on and under leaves. Minerals and nutrients are absorbed through the leaves and the roots – the WHOLE plant! Apply early in the day, avoid applying in direct sunlight. Ultraviolet (UV) rays kill microbes. If you must apply during sunlight time, do it before 10 am or after 3 pm, when UV rays are weakest. If you do soil drenching, once you apply it, keep it moist for a few days to a week so the microorganisms have time to settle in, strengthen and multiply! Space out your applications a bit to give them time to get results. If you need a little more mojo deeper in your soil, down where the roots are, use your spade fork, the kind with the short wide tines that are spaced about two inches apart. Push your fork all the way into the soil, wiggle it back and forth to make holes, lift it straight up back out. Pour in your tea. Close the holes. Water a bit the next few days so your soil stays moist below and the organisms can thrive. Your plants will thrive as the root zone is so kindly treated! Why wait until your plants are in the ground to add teas?! Start feeding your soil soonest! If you have your plant placements in mind, be sure to invest your teas out to the anticipated dripline so feeder roots will get some. Make your tea applications every two weeks until your plants start to bud. We want our plants to make fruit, not foliage then! Some suggest to apply your tea at least four times per year, 1x spring, 2x summer, 1x fall. If you are trying to overcome disease, you may need to apply compost tea every five to seven days. If your soils have ever been sprayed with pesticides or otherwise compromised, apply more often. Teas are perfect for container gardens, right?! You can buy ready made tea bags. You can buy Tea! No digging, just feeding. As of early 2011, there was very little evidence that proved the benefits of aerated compost teas; non-aerated teas seemed to fare a little better. That’s similar results as whether to turn compost or not. Turned compost processes faster, but unturned compost is higher in nitrogen! In the Journal of Plant Pathology 2015, Effect of Aerated Compost Tea on the Growth Promotion of Lettuce, Soybean, and Sweet Corn in Organic Cultivation, four types of compost were brewed and then the available nitrogen was determined, as well as the density of microbial communities, along with their effect on plant growth characteristics. Across the board it was shown that aerating compost tea released more nutrients, increased microbial counts, and helped plants grow! Some practical points: When your tea hits the dirt, the water near the surface remains aerobic sustaining the aerobic species in the tea, and the water that soaks deeper becomes anaerobic sustaining those species. In other words, the soil microbe stratification remains the same as nature makes it. If you apply tea to your soil, made with the same compost you grow with, you are making extra work for yourself! But if you add biodiverse amendments to your tea, it supplies an array of tasty ingredients your compost likely doesn’t have. Compost supplies the organic matter that tea doesn’t supply, so it is critical in and of itself, plus it has many times more nutrients than a diluted tea. But teas are great for potted plants and lawns! And if you foliar feed your veggie plants, the uptake is greater and works within an hour!!! So think through why and how you will use teas and make them accordingly! Here’s to a blessed summer of happy plants and abundant harvests!